These two building are proposed on the surface parking lot directly opposite Pentagon Row. They are located between The James and The Potomac. 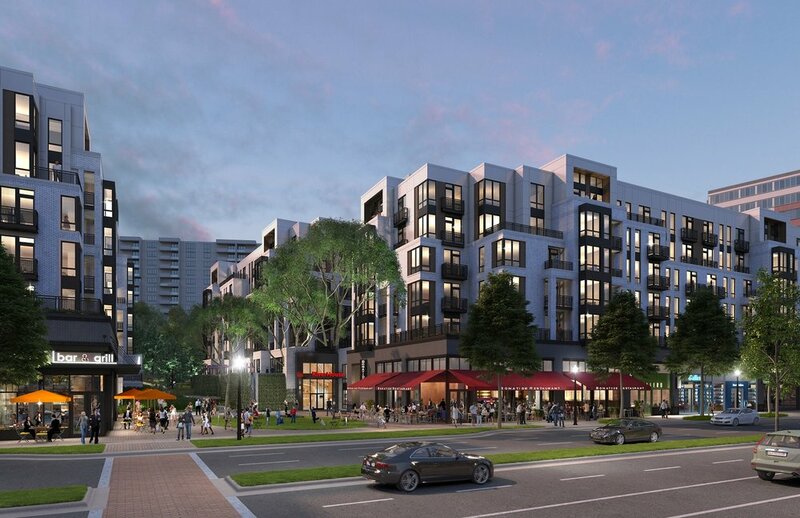 A combined 579 units and 29,900 SF of retail are proposed for these two buildings. A second option for residential only proposes 602 units. This building is located between The Potomac and The Ashley on the former Woo Lae Oak location. Construction is proposed to occur immediately after Buildings 1 and 2 are completed. The new building will include 354 residential units.